With the recent rise in opioid abuse, State and Local police departments are constantly monitoring the distribution and possession of prescription drugs. 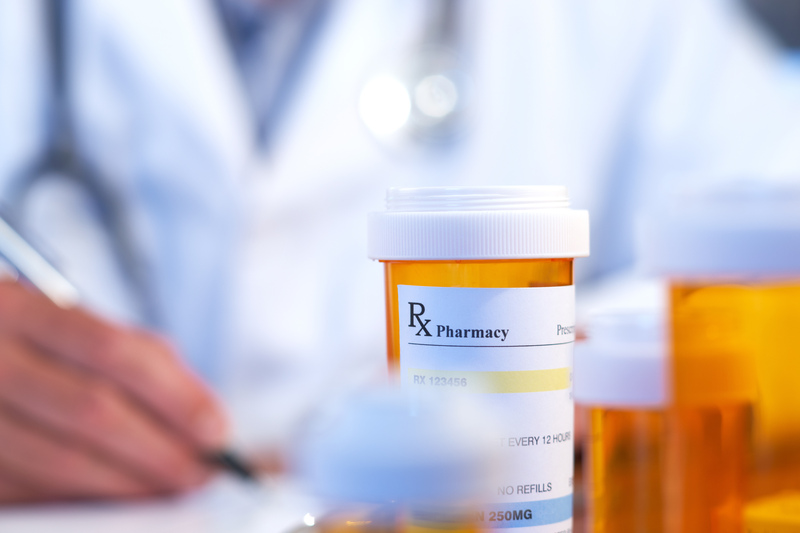 Generally, obtaining a prescription drug (assuming it is not an over-the-counter drug) requires that a doctor write you a valid prescription. However, individuals may attempt to obtain or refill these prescriptions with forged documents. If you are caught purchasing a prescription medication with a fraudulent documents, you may be charged with the criminal offense “Obtaining CDS by Fraud” under N.J.S.A. 2C:35-13. These charges should not be taken lightly as they carry serious penalties, including incarceration. If you are facing criminal charges for prescription fraud, robbery, theft, possession of steroids, heroin possession, unlawful possession of prescription drugs or possession of a weapon for an unlawful purpose, contact the our office at (609) 850-8284. Proetta & Oliver is a Burlington County Criminal Defense Law Firm that represents defendants throughout New Jersey. If you or a loved one have been arrested or detained for Obtaining CDS by Fraud, contact our office today. We handle cases throughout Burlington County, including towns like Mount Holly, Evesham, Pemberton, Willingboro, Mount Laurel, Florence, Maple Shade, Southampton, Palmyra, Cinnaminson and Moorestown. We understand that these types of situations carry a great deal of stress and anxiety. For these reasons, we make ourselves readily accessible to all of our clients. If you would like to consult with a criminal attorney today about your theft or drug charges, just dial (609) 850-8284. How Can The Police Prove I Acted Knowingly? This is always one of the first questions clients ask my when they call about a case. Obviously, without an admission, the State cannot prove your specific. However, the law allows Judges and Juries to look at the defendant’s actions and infer intent based on that. Under NJ law, a person acts knowingly “(1) if the person is aware that his / her conduct is of that nature, or that such circumstances exist, or the person is aware of a high probability of their existence or (2) if the person is aware that it is practically certain that his/her conduct will cause such a result.” Therefore, a conviction for the crime of obtaining a controlled dangerous substance by fraud would require proof beyond a reasonable doubt that the defendant acquired or obtained possession of a controlled dangerous substance, that he/she did so by fraudulent means, and that he/she acted knowingly. What are the Penalties in NJ for Obtaining CDS by Fraud? Each of these penalties is subject to certain judicial discretion that will analyze your criminal history and the facts of your case. Are there Alternatives to Jail in New Jersey? Yes. There are multiple alternatives to incarceration a NJ State Prison or the Burlington County Jail. These alternatives range from probation to pretrial diversionary programs like Pretrial Intervention (PTI) or Drug Court. Specifically, Pretrial intervention is a program that allows you to serve a period of supervised probation that, if completed successfully, will result in the dismissal of your charges. Similarly Drug Court is reserved for only certain offenders and allows for the postponement of your charges pending compliance and completion of the Burlington County Drug Court Program. For more information on these programs, please contact our office at (609) 850-8284. Whether your were arrested on a Complaint Summons or Complaint Warrant for Obtaining CDS by Fraud, it is important that you contact and consult with an experienced criminal defense lawyer. These charges must be taken seriously because they can have detrimental affects on your livelihood. If you were arrested in Burlington County for Prescription Fraud, contact the Mount Holly Defense Attorneys at Proetta & Oliver today by calling (609) 850-8284. The initial consultation is provided free of charge for you convenience. If you have any questions or concerns about your pending charges, please call our office today.